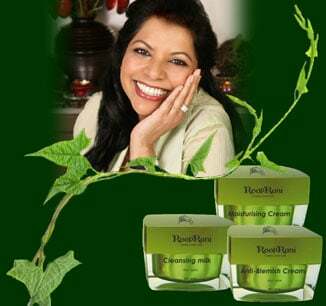 Rooprani has a fantastic range of herbal products which is sure to enhance your daily beauty regimen. Our products are extracted from nature, adding herbal fragrance to the body and reducing stress while nourishing your skin. Skin health is a good barometer of an individual's overall wellbeing and as such, needs proper care. Left neglected, skin can suffer from premature aging, becoming dull and blemished. Skin types differ between individuals and Rooprani's herbal and ayurvedic products are a great solution for all skin needs.